I found this little guy in the garden today and affectionately call it Pinocchio. DH thought is looked so cute that I just had to take a photo of it. DD has asked for first dibs when Pinocchio is ripe. Thanks dear family for making me smile and justifying my outrage that our tomatoes were nicked. I think the lousy part is that I have been picking tomatoes off their stems earlier to ensure that we get to keep them. What stinks about this is that I enjoy picking them when they’re ripe and within minutes of eating. 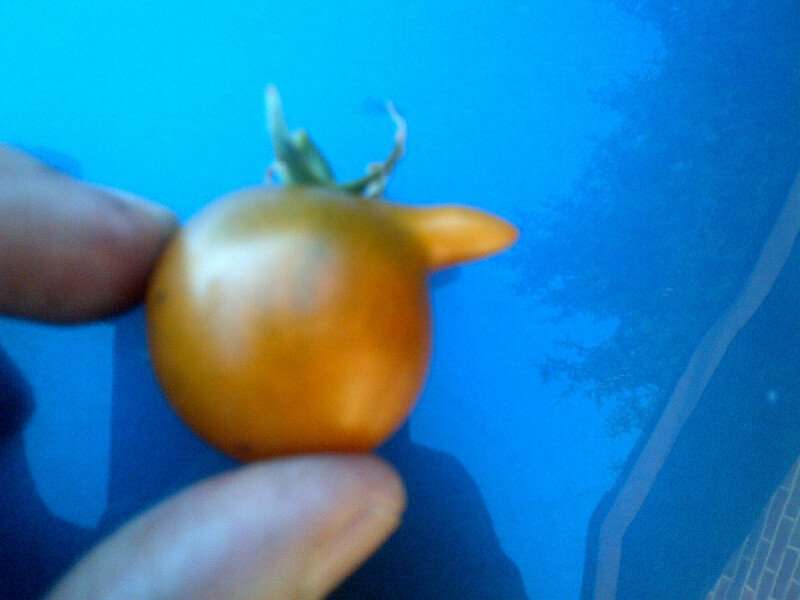 There’s nothing quite like a warm tomato that is fresh off the vine. And I also enjoy growing at least one ridiculously big zucchini for the heck of it just to see how big it can grow. Well, that’s enough of feeling sad and sorry. 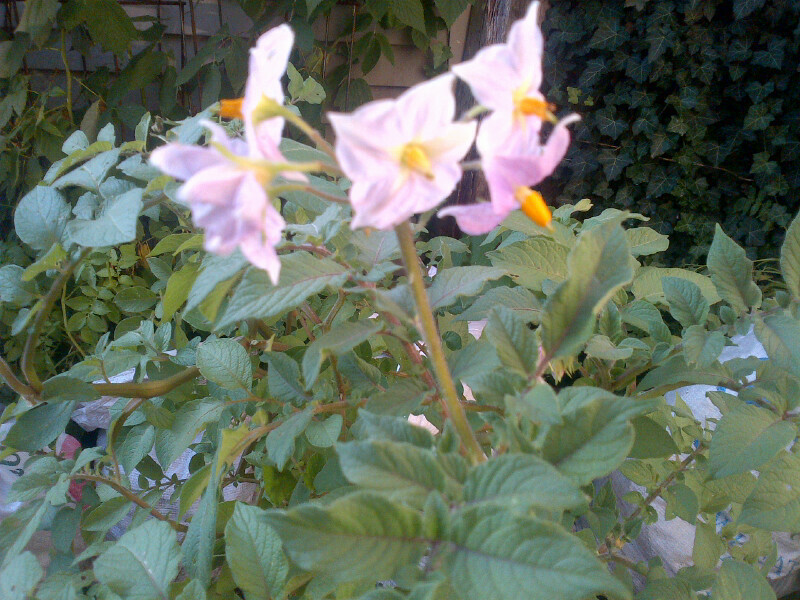 I also took this photo of some potato flowers. There won’t be too many of these left in my garden this season. Because they are a soft lavender, I know that blue fingerlings grow underneath. I’ll wait patiently for them to grow and perhaps be rewarded with a nice crop by Thanksgiving. Why is there a cucumber growing on my window blinds? Got your spring planning on? F wong on Catching up!